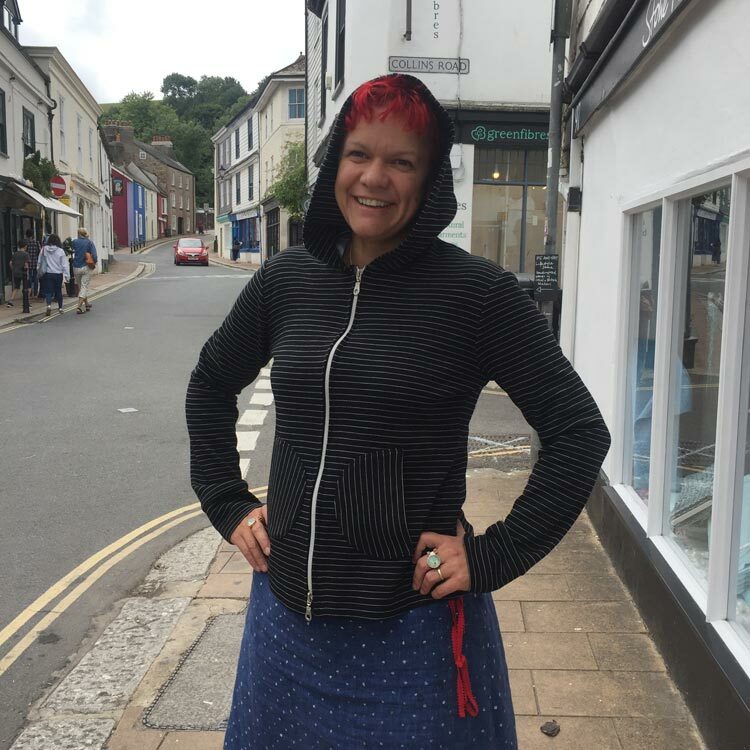 Bess made this hoody from an old Burda pattern on the day before going off to a festival and realising she had nothing warm for the evenings. Being somewhat busy she got up a bit early and made it before breakfast – even though it was a pattern she hadn’t used before (needed to be cut out)/there were patch pockets that needed to go on evenly/stripes to match/zip to be inserted. We would like to say it was Bess’s skillz as a dressmaker but most of the credit needs to go to this lovely double wool jersey that behaved soooo nicely.